Sucker Punch talked about their new PS4 Engine. 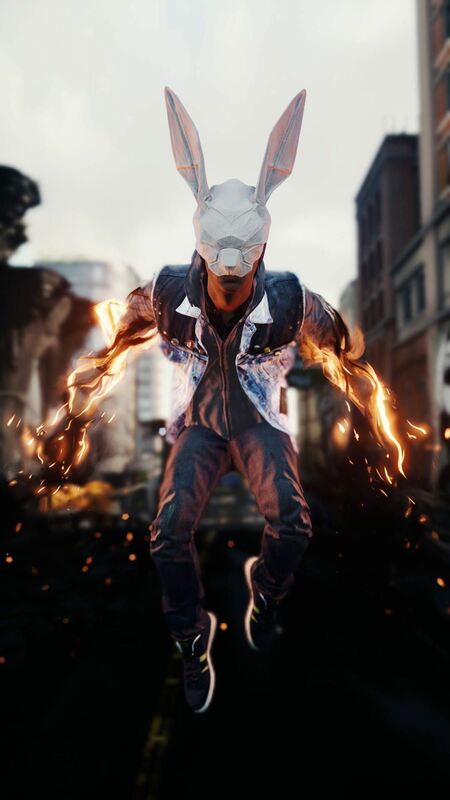 The developer stated that there is no Limit to their PS4 engine, it can achieve better Graphics/Visuals than Infamous: Second Son and promised more impressive stuff in the new PS4 game. Sony has announced the exact release date of Infamous: First Light, a new Playstation Network standalone title for Playstation 4. As per the details announced by Playstation Europe via Twitter, Infamous: First Light will launch on August 27. "CONFIRMED -> @SuckerPunchProd inFAMOUS First Light, the new PSN standalone title coming out August 27 in Europe!" read a tweet from PS Europe. Watch debut trailer of Infamous: First Light below. At Playstation E3 2014 press conference, Sony and Sucker Punch announced first DLC for Infamous: Second Son called as "First Light". It will be a stand-alone project and won't require original game i.e Infamous: Second Son. Today, Sony via press release shared first in-game screenshots of First Light DLC, can you check them below. The screenshots shows stunning looking environment, beautiful lighting effect and Curdun Cay. 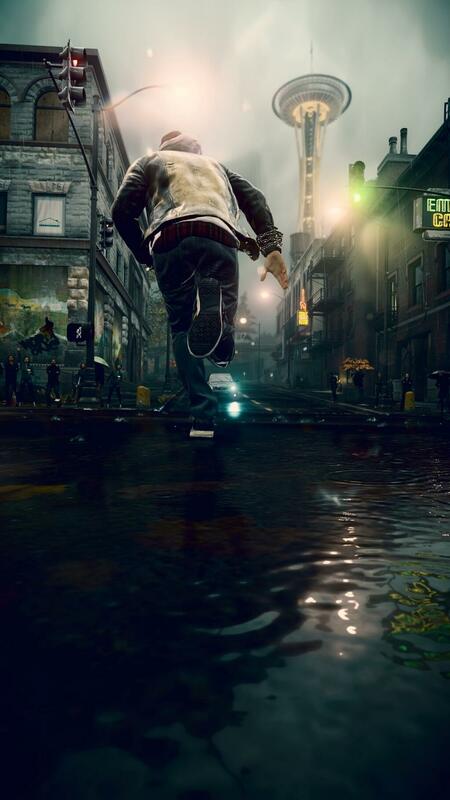 Infamous: Second Son First Light will launch in August 2014 and it will be about Fetch Walker. Locked up in a prison for super powered humans, Fetch Walker is forced to relive tragedies from her past. Unravel her dark secret in Seattle while battling to escape snowy Curdon Cay and seek vengeance against who wronged her. Watch the debut trailer of Infamous: Second Son First Light DLC that was showcased at E3 2014 below. Someone recently called Ubsioft's Watch Dogs as the best looking open world title on Playstation 4 and added that it sets new graphical standards for the genre on Sony's console. The Photo Mode of Infamous: Second Son was a massive success, players used it to perfection and shared some gorgeous looking screenshots of the game. The details in the screens were so impressive that Sucker Punch themselves acknowledged hard work of Infamous community and went on to link some astonishing screenshots in their official portfolio. Today, Sucker Punch shared another creativity side of Infamous community. The developer recently held a Infamous: Second Son Art Content which received massive entries from worldwide and finally winners of the competition have been released. Check them all below. Sucker Punch's open world action adventure title, Infamous: Second Son is just two weeks away from release and to celebrate this special occassion, Sony Japan has released a brand new trailer called as "Master" trailer. Sucker Punch has just released the last and final episode of Paper Trail mission for Infamous: Second Son and also a brand new patch 1.04. The update weighs just 292 MB in size and as per the details in the changelog it seems like a pretty small update, "add Paper Trail assets, other bug fixes". Coming to final episode inFAMOUS: Second Son Paper Trail, here is what the official blurb reads: "The military wasn’t gunning for conduits, at least not yet. They were trying to shut down the D.U.P. And Celia just used you to kill the man leading the charge. But why? We can’t trust her– that much is clear. High time we get some answers." At the end of the trail, Paper power won't be available as reward but there are still some extra goodies such as Celia's mask and four custom jackets for our lead character Delsin Rowe. These jackets are "Rabid Rabbit, Origami White Dove, Celia’s jacket (which includes her mask), and DUP’d. How will you react if I say Sucker Punch initially planned to include wire and glass power as well to Infamous: Second Son? Levi Hopkins, Concept Artist at Sucker Punch recently posted some concept art work of Infamous: Second Son, showcasing both wire and glass powers that were actually planned for the game. You guys can check out the full bunch of concept art below. There are tons of hidden details such as how these powers could have been used by our lead character Delsin, from caltrops dropped on the ground, to shield, walls, reflect bullets to eliminate use of cover and much more. Sucker Punch has just released latest patch for their Playstation 4 exclusive, Infamous: Second Son. The update adds some much requested fan features like changing day time of the day, 30 FPS lock and a brand new photo mode that allow users to take some stunning looking screens directly from Playstation 4. I used the term stunning screens via Photo mode deliberately because few users have uploaded new screens taken via this mode, you can check them below. As mentioned above, the patch also adds option to change the time of day, Infamous: Second Son features 8 different times of the day, so there's plenty to enjoy. Have you downloaded this latest patch for Infamous: Second Son? Share your experience of new Photo Mode with us in the comment section below. Infamous: Second Son is the fastest selling title in Infamous franchise, the game sold One million units in just first nine days of its release "both retail and digital" sales combined.